I’ve been travelling to London a lot for work recently, and can vouch for the continued subsistence of the famous London fog. There are few feelings more evocative of classic British dramas than those of walking over London Bridge, trench-coat tightly belted, with the view of the Thames largely obscured by the swirling mists. While the millions of chimneys no longer belch out the sulphur dioxide that gave the smog of the 1950s its poisonous edge, this drink’s namesake is still alive and well. Add 1 measure of London dry gin, 2 measures of chilled water and 1 measure of pastis. Stir well and top with ice. Make an Earl Grey concentrate by steeping one teabag in half a cup of boiling water for 4 minutes. Warm half a cup of milk. Combine the tea concentrate and warm milk. Add a dash of vanilla syrup. 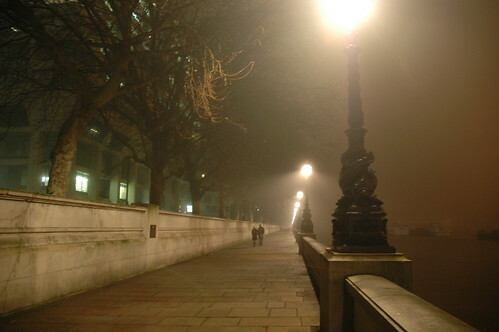 London Fog may also be familiar from a series three episode of Mad Men where Don and Sal come up with a new tagline – “Limit your exposure” for the American-based waterproof coat maker. 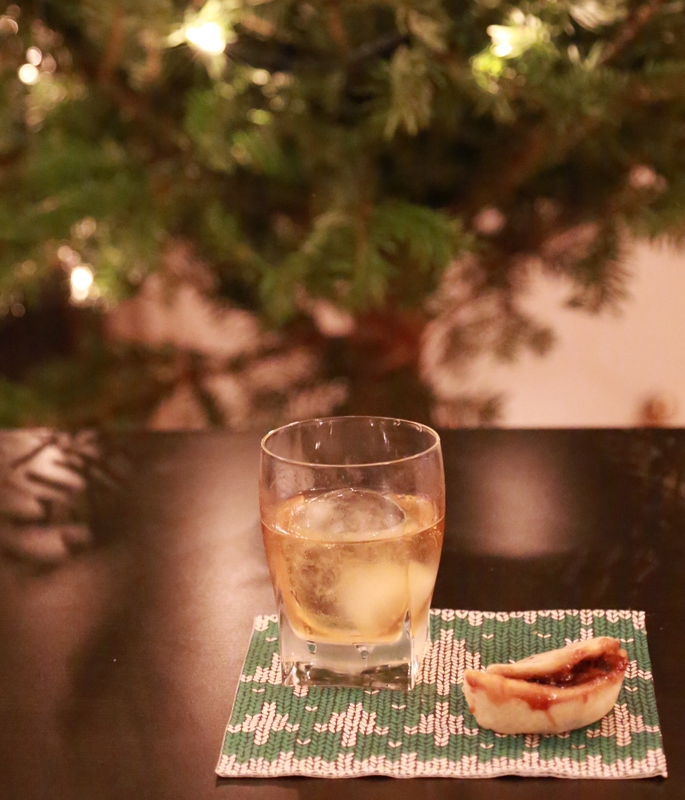 I must confess I was a late convert to the Sazerac. Another cocktail that has claims to being the oldest recorded, its delightful combination of whiskey and anise is rapidly becoming my new favourite cocktail (although claiming to have a favourite cocktail is a lot like claiming to have one favourite song – no drink will work for you all the time). 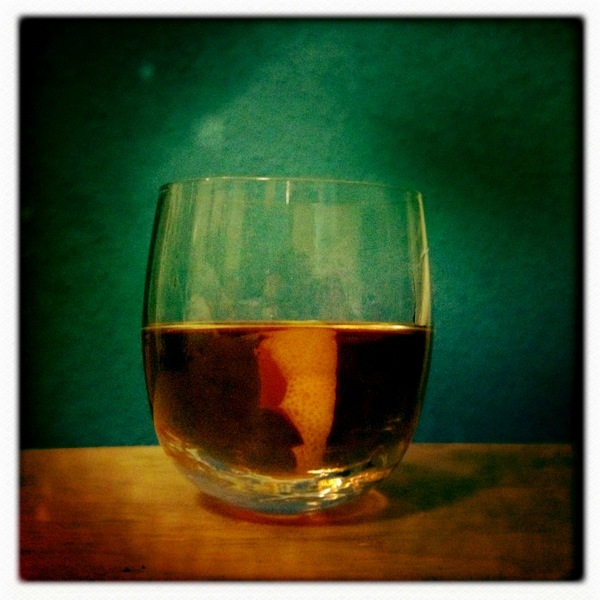 The Sazerac was the original New Orleans variation of the bittered sling. Down in the Deep South, just whiskey, bitters, sugar and water was not enough; the drinks required the added frisson of a touch of la fée verte. Born in the Sazerac Coffee House, New Orleans some time in 1850, the Sazerac was named for the imported Sazerac-de-Forge et Fils cognac which was originally its main ingredient. Some time between 1875 and 1879 while the great French vineyards were being decimated by cheeky wee aphids, causing production of cognac to fall by two-thirds, the cognac was replaced (out of necessity) with whiskey. The fine clientele of the Sazerac Coffee House never looked back. Add a 1/4 teaspoon of absinthe to a rocks glass and spin the glass until it is coated with the absinthe. Add 1/2 a lump of sugar, five dashes of Peychaud’s and water to cover. Add a large measure of whiskey and some ice. Stir well and garnish with a twist of lemon peel (purists say this should be squeezed over the glass and discarded, mine fell off the rim just as I took the shot, so I decided to leave it in). Take a second rocks glass and muddle the sugar and water. Add ice, whiskey and Peychaud’s to the sugar solution. Empty the iced glass and roll a wee sploosh of absinthe inside until coated. Strain the drink from the second glass into the first. Finish with a twist of lemon peel (discarded). Good luck managing step five without pouring most of the drink over the nearest flat surface – it takes a little practice! Even before Baz Luhrmann introduced the myth of la fée verte to a new generation of filmgoers, absinthe had a reputation for decadence, creativity and the bohemian. While in reality the anise-flavoured spirit is simply a highly-alcoholic drink which is now freely available in most parts of the world, the myths and suggestions that it is a depraved, highly addictive, psychoactive drug persist. Absinthe was originally a Swiss invention, and we can see how easily it sits in the shop windows of the Geneva tourist traps alongside cuckoo clocks and chocolate to this day. Ok, not really, but only because it was the bohemian scene of 1880s Paris that really brought the mysterious spirit to a wider audience. Originally prescribed to French troops as an antimalarial in the 1840s, by 1860 an early happy hour – l’heur verte – was taking the bars of Paris by storm, and by 1880, a massive surge in production meant absinthe was available to all. Stories abounded of those driven mad by absinthe, the Swiss farmer who murdered his family and then himself, and the addicts – sodden epileptics, incoherent and bursting with murderous intent. By 1914 absinthe was banned in France having already fallen foul of regulators in Switzerland (1910), the USA (1912) and much of the rest of Europe. But Britain never banned absinthe, mainly because it never really had the same hold on London as it did Paris, and besides, London had seen it all before with Gin Lane and Beer Alley. So when an enterprising (although not that sharp) importer realised this, absinthe saw a resurgence. In 2000, La Fée became the first (legal) absinthe to be produced in Paris since the 1914 ban, and society conspicuously failed to collapse (although the 35 hour week was introduced the same year – coincidence? Mais non!). Pour a measure of absinthe into a rocks glass. Place a cube of sugar on a slotted spoon, and rest this on the glass. Slowly pour four to six parts iced water over the sugar cube until it has dissolved. Once the sugar has dissolved, the liquid will louche (turn milky green) and is ready to be consumed. 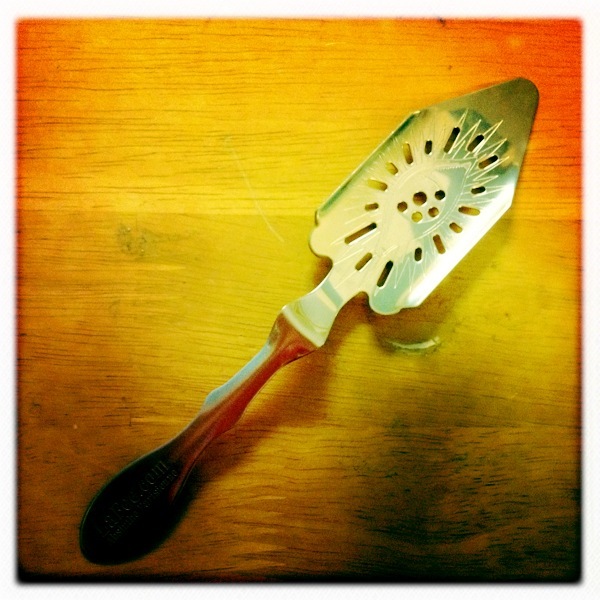 Soak a sugar cube in the absinthe and then place it on a slotted spoon. Rest this on the glass. Light the sugar cube and allow it to caramelize and drip into the glass. Pour iced water over the sugar cube until it has dissolved. Absinthe also belongs in the traditional Absinthe Cocktail (effectively an absinthe Old Fashioned), the Absinthe Sour, the Sazerac and Ernest Hemingway’s infamous Death in the Afternoon.